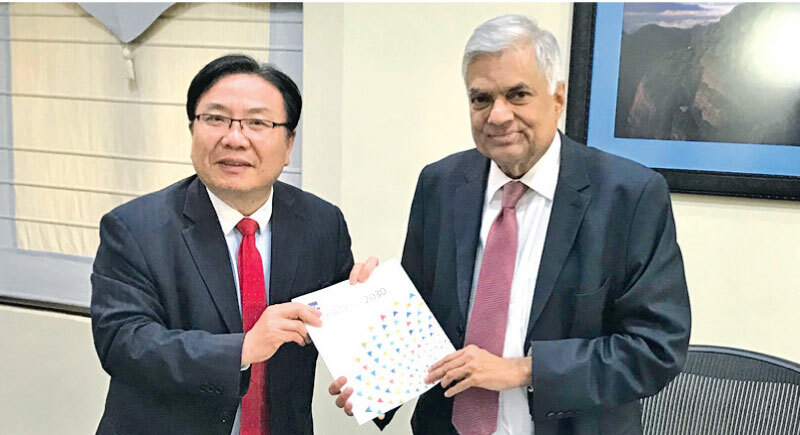 The economic reforms agenda adopted by the government is heading in the right direction, Vice President (Operations 1), Asian Development Bank (ADB), Wencai Zhang told the journalists in Colombo yesterday. Zhang who is on an official visit in Sri Lanka has visited some of the development projects in the Southern Province this week. He also said that it was pleasing to note the exports are increasing and hoped that this positive trend would continue. “Sri Lanka now has the potential be a major economy in the future,” he said at the press conference. Zhang was joined at the press conference by Country Director, ADB, Sri Widowati. Asked if the credit facilities offered by the bank for development projects are properly being implemented by the government, Country Director, ADB, Sri Lanka Sri Widowati said, they were successfully disbursed.